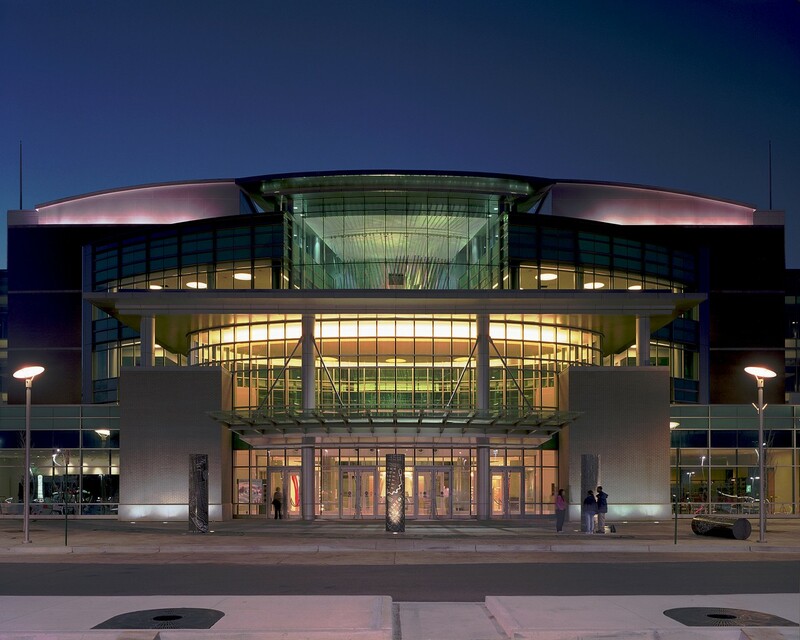 Memphis, Tennessee, has just completed a new 260,000 square foot, five story, central library funded largely by private donations. 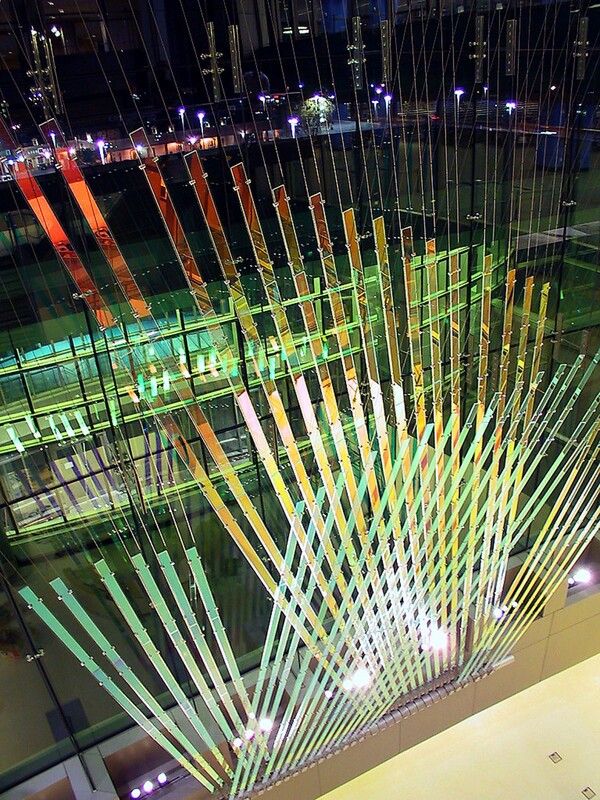 It includes an unusual series of linked public spaces, each with major art installations. 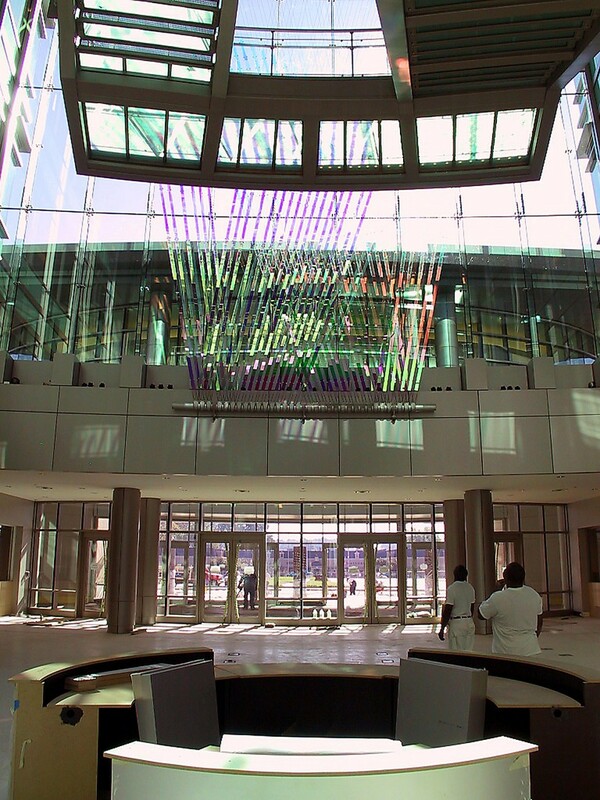 Ed Carpenter was commissioned to create a major sculpture in the 80′ high main atrium. This area is visible from the exterior as well as from various levels within the building. 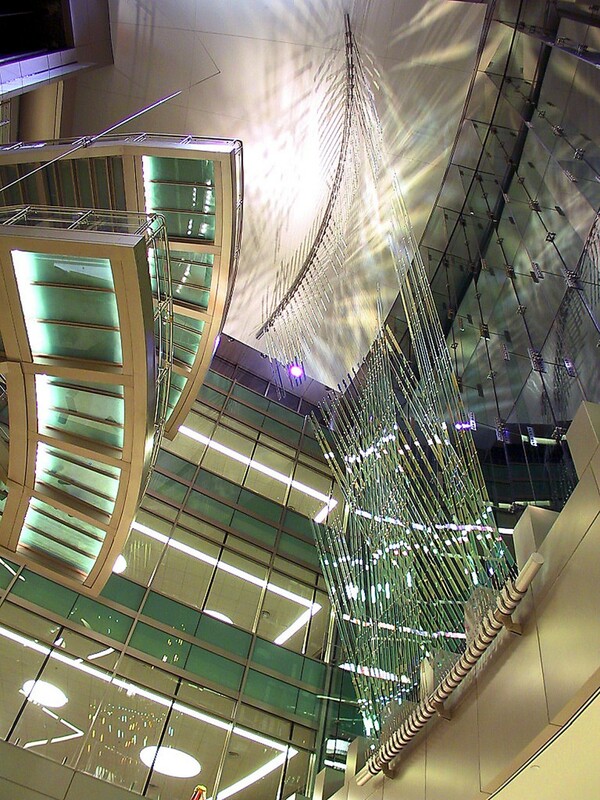 The sculpture consists of a monumental inward sloping veil of glass suspended just inside the east facing curtain wall. 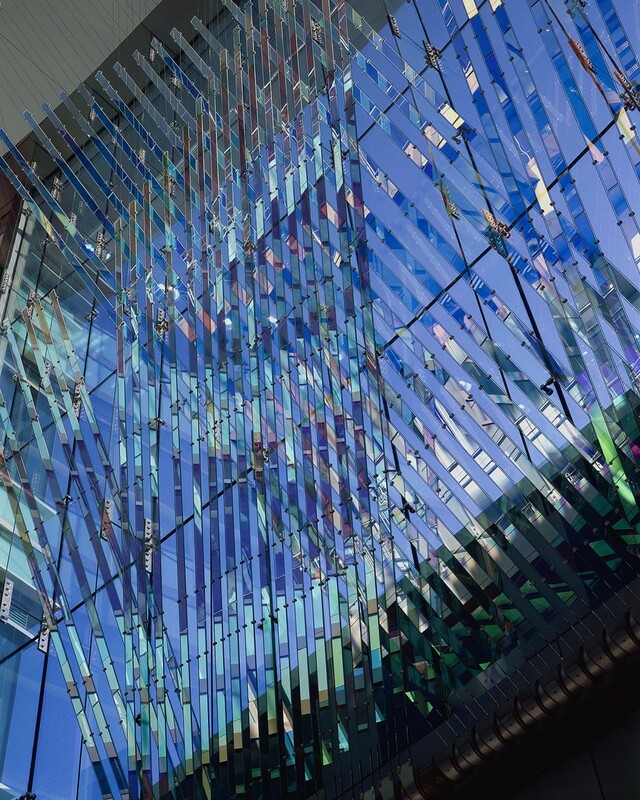 Its overlapping layers create rich textures of transparency, shadow, and color – literally a curtain of light. Sunlight passing into the building reflects and transmits throughout the atrium in changing geometric textures and patterns. 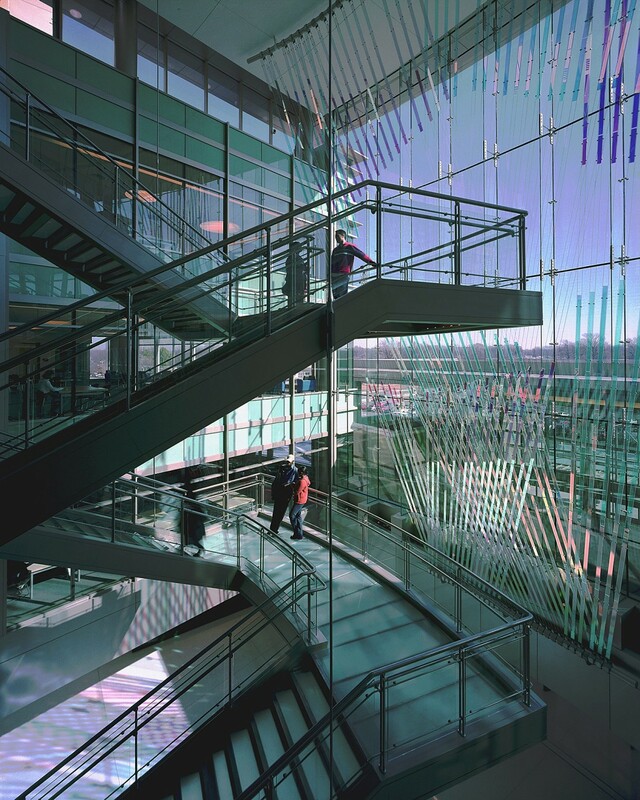 Dramatic views through the sculpture reward library users on glass enclosed elevators, a glass clad exposed stair, and from all five levels of the building. 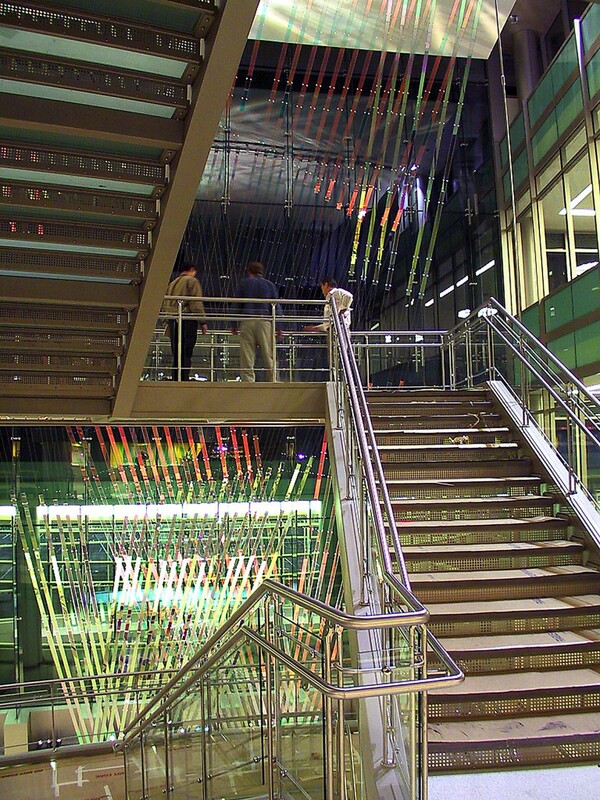 Materials: Laminated dichroic glass, stainless steel cables and hardware, and aluminum armatures.